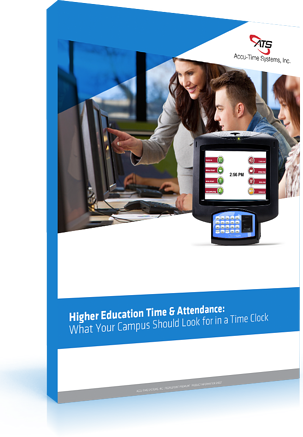 Looking for a Better Time Tracking System for Your Campus? Fill out the form to download the free ebook! Accu-Time Systems was founded in 1991 with a mission to solve the challenges of tracking time and attendance with the most advanced and reliable products, exceptional service and ongoing support. As the first open architecture terminal manufacturer in the U.S., we set out to deliver superior time and attendance, workforce management, human resource data collection, employee self-service and labor management solutions.